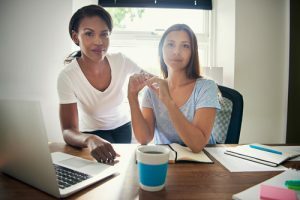 On Wednesday, October 24, from 2–3 p.m. CDT, the American Mortgage Diversity Council  (AMDC) will present a complimentary webinar entitled "Women-Owned Small Business: Navigating Certification and Federal Contracting Obstacles." Host Heather Beers Burt, Managing Partner, Beers Housing, Inc. , will guide viewers through a presentation on how qualifying as a certified women-owned small business (WOSB) can present growth opportunities for organizations led by female entrepreneurs. This latest AMDC webinar  will focus on topics that prepare your business to become certified and win new business. The promotes diversity and inclusion, throughout the mortgage industry by providing a platform for collaboration among mortgage industry leaders for the advancement of diversity and inclusion dialogue. The organization develops and provides tools and strategies to create an understanding and appreciation of individual differences in thought, experience, race, ethnicity, culture, religion, style, sexual orientation, and gender identity. In 2018, the organization hosted a series of town halls  designed to bring together representatives from the mortgage industry, the government, and community groups in a dialogue about housing-related issues of concern to LGBT  individuals.